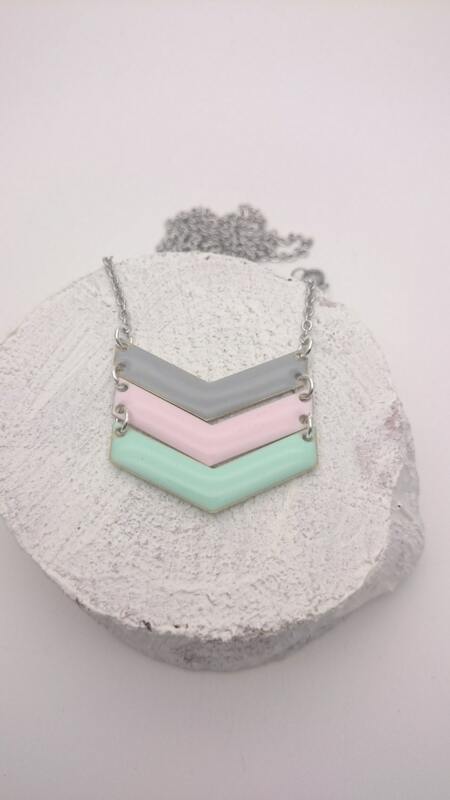 Pastel Enamel Triple Chevron Necklace Grey Pink Mint silver stainless steel chain//Hypoallergenic necklace//V necklace//Chevron pendant. 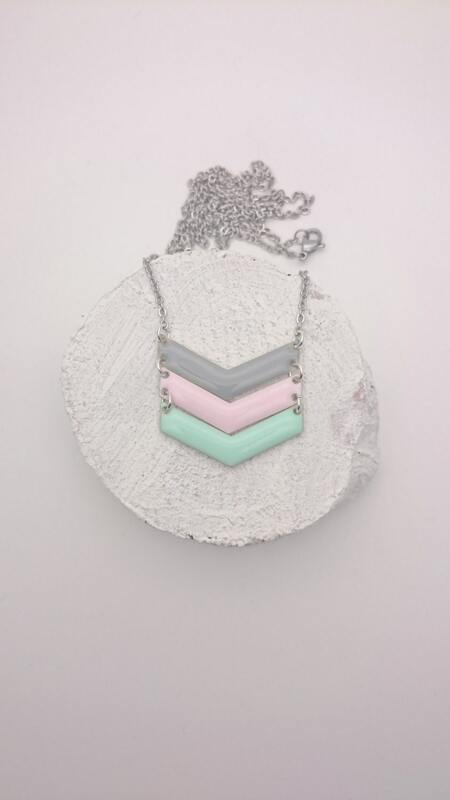 I made this necklace with a silver stainless steel Chain closed with a lobster clasp and 3 enamel pastel chevron : grey, pale pink and mint. 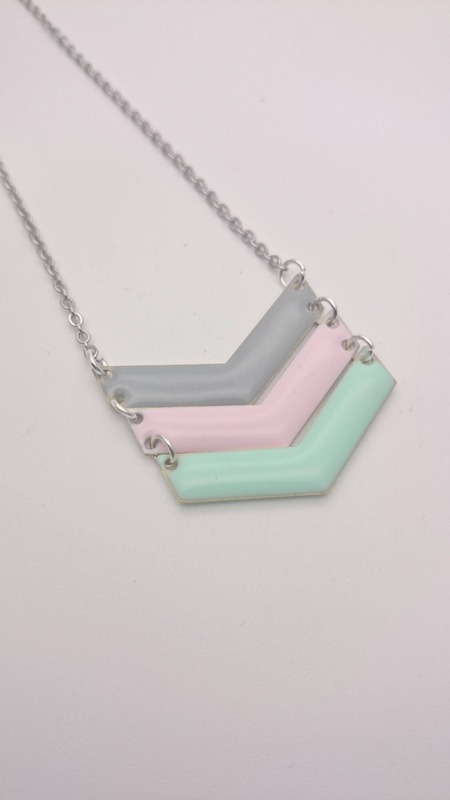 The chevrons are enameled on both sides. 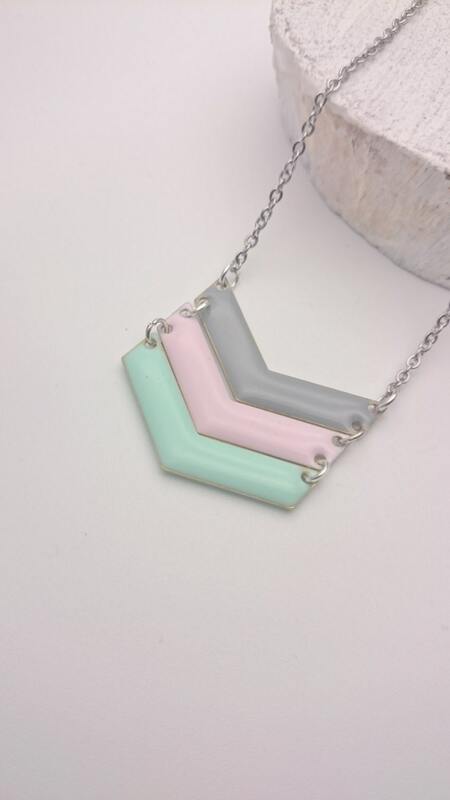 The enameling is nickel free and lead free. 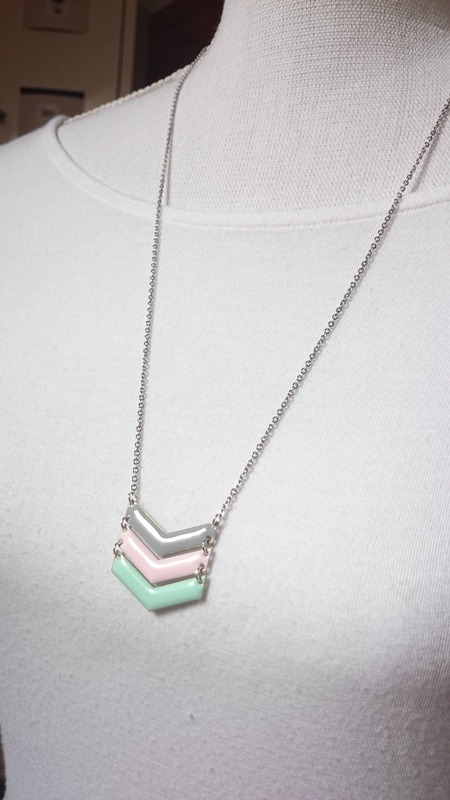 The necklace is all hypoallergenic. 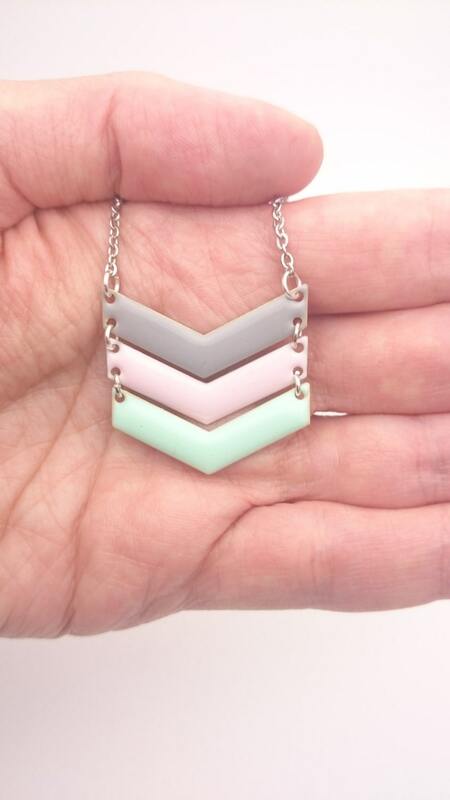 1 chevron is 30 mm x 5 mm. 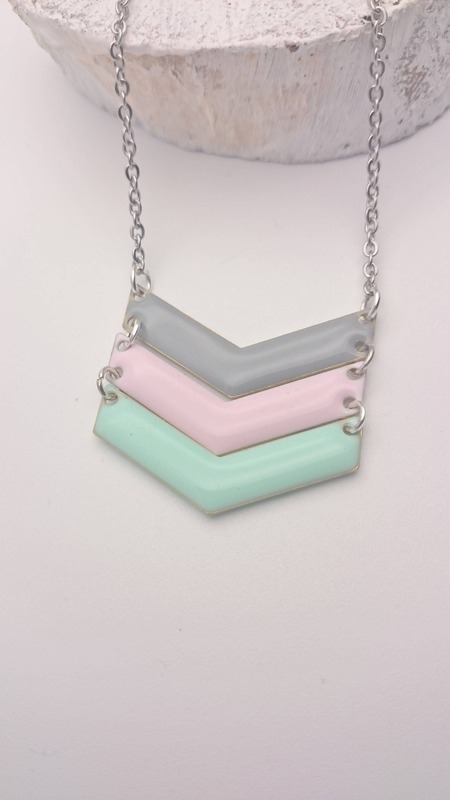 Chain Length : about 26 inches and 2 mm wide. The length of the chain can be shortened if desired. Thank you to leave me a message with the desired length when ordering. 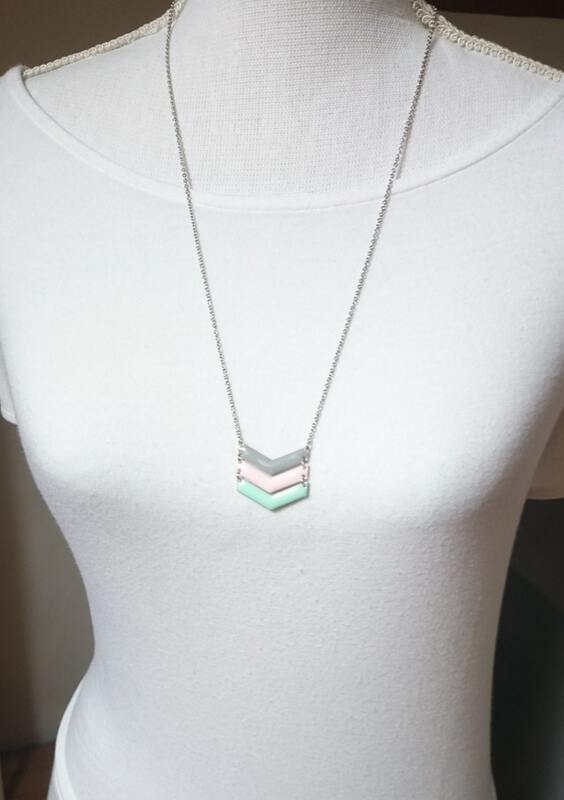 Necklace total length : about 28 inches.